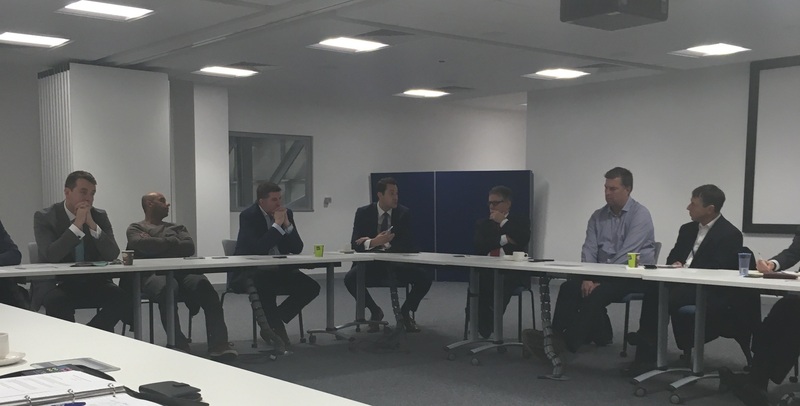 On 26 October Liverpool City Region Local Enterprise Partnership (LEP) hosted an LCR4.0 breakfast event at Alstom, Widnes in association with Lombard and The Manufacturing Growth Fund to debate ‘What Brexit Means for the Manufacturing Community’. This was an SME focussed event targeted at manufacturers in the Liverpool City Region. The event opened with short presentations from our 3 speakers: Simon Reid, Sector Manager for Advanced Manufacturing at the LEP; Phil Anders, Manufacturing Advisor for Business Growth Hub; and David Antrobus, Chairman of David Antrobus Marketing Ltd. 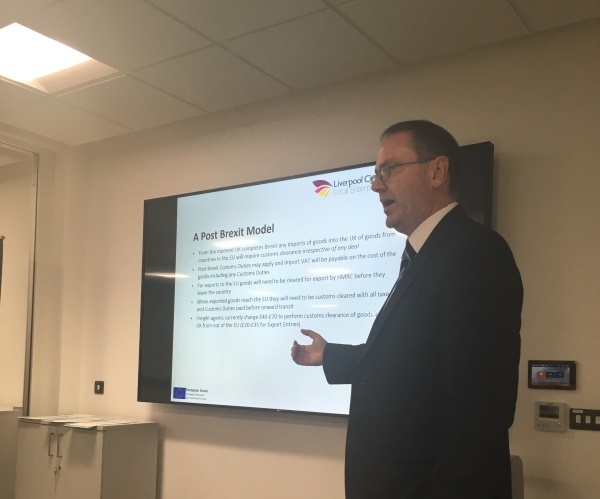 The current scene was set in terms of Brexit negotiations and what the eventual outcome might mean for the City Region manufacturing industry, with the speakers offering some positive strategies and information about support available to help firms take a proactive stance when it comes to their future. Manufacturing is a vital contributor to the City Region economy. There are some 3000 manufacturing businesses in the region which employ 50,000 people. Manufacturing output accounts for 13.2% of total economic output of the Liverpool City Region, compared to 11.6% as the national average. The prevailing issue, however, is that EU trade currently underpins the performance of the UK manufacturing economy. 45% of manufacturing exports head to the single market (EEF), and 1,050,000 jobs in the sector relate to these exports. 76% of manufacturers have at least one EU national working in their business, and on average EU nationals make up 11% of the manufacturing workforce (EEF). In the City Region, these figures are even higher with 60% of our exports heading to the EU. Any sort of trade deal emerging from Brexit negotiations seems to be a long way off, and a ‘hard Brexit’ (no deal being signed and UK essentially reverting to World Trade Organisation(WTO) rules) is being seen as an increasing possibility. Yet for many, it is unclear what this would mean. The average tariff set by the EU is 4.8% – applying this to the current value of UK exports to the EU would entail a cost of around £4.5 billion for UK manufacturers (HM Treasury). Over time, UK goods exports would also face “Non-tariff Barriers” (NTBs) in the EU such as the enforcement of different market standards and regulations. Some trade barriers are the result of what are known as ‘behind the border’ restrictions, such as the need for product certification, import licences, and customs checks. Reverting to WTO rules is, at present, a hypothetical scenario, with plenty of time left for a favourable trade deal to be made. But we do take the prospect that, from the moment Brexit is complete all imports into the UK of goods from EU countries will require customs clearance. What is required now, pre-Brexit, is for UK firms to sufficiently review their operations to factor in the finance, labour, and business hours they will need to dedicate to this. Uncertainty is causing a hiatus in terms of business decisions and investment. There are some concerning leading indicators in sectors that give a representation of the wider industry and economy. It is not easy for SMEs to break in to ‘fastest growing economies’ such as India and the Middle East, which are often labelled as the best opportunities for trade. This is due to a need for a physical presence when doing business in these countries, presenting a barrier in terms of expenditure of sending employees abroad or hiring agents to act on behalf of the business who require a high commission. There is a persistent skills challenge in the UK, with a need for more technical skills and even greater business leadership. There is a current capacity gap in the UK supply chain to take full advantage of reshoring opportunities. There is a need and opportunity for manufacturing firms, both small and large, to collaborate on solutions. There is a need to improve the capability of our SMEs – ‘bringing the bottom up’. The LCR LEP needs to act as a voice to government for business regarding Brexit. What became evident from the discussion is that there are numerous challenges common to City Region manufacturers, and these challenges, coupled with the current understanding surrounding Brexit and the future of the industry, are discouraging firms from investing and taking the necessary steps to grow. But most significant was the common recognition that the industry cannot afford to wait. City Region SMEs need to shape their own future success by thinking about where their company is heading and doing things better internally. There is a productivity problem in the UK that has persisted for decades, irrespective of our relationship with the EU, and this is something we need to face now. We should allow the uncertainty surrounding Brexit to act as a catalyst for transformation. The global manufacturing industry is rapidly developing, and our industry must develop along with it. There is a prime opportunity for the UK to revive itself as an internationally attractive and competitive base for advanced manufacturing. Cutting-edge technology and high innovation encourage the agility required in firms to thrive in times of uncertainty and create prosperity. With full commitment to the digital revolution and with the Liverpool City Region leading the way on Industry 4.0 with LCR 4.0, we can hold our own in the global manufacturing industry and flourish in our economic future.